The 2018 WNC Area Beef Conference is scheduled for December 7, 2018, from 1–5 p.m. at the WNC Regional Livestock Center in Canton, NC. 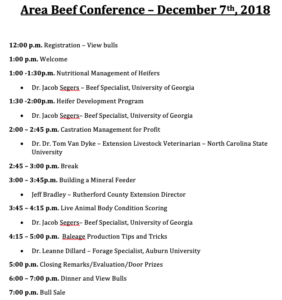 This is the first of a series of area beef conferences to be held across the state. 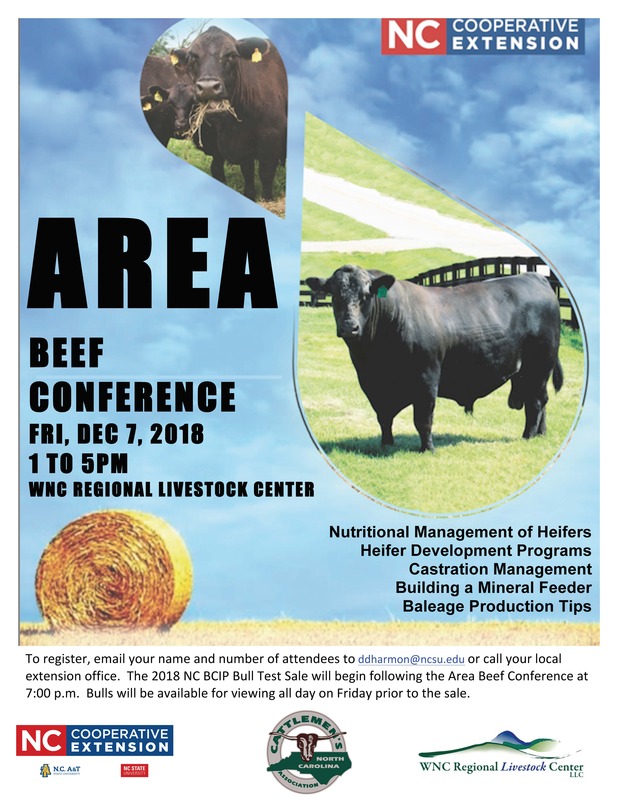 Conference topics include nutritional management of heifers, heifer development programs, castration management, baleage production tips, and a hands-on training on how to build a mineral feeder. 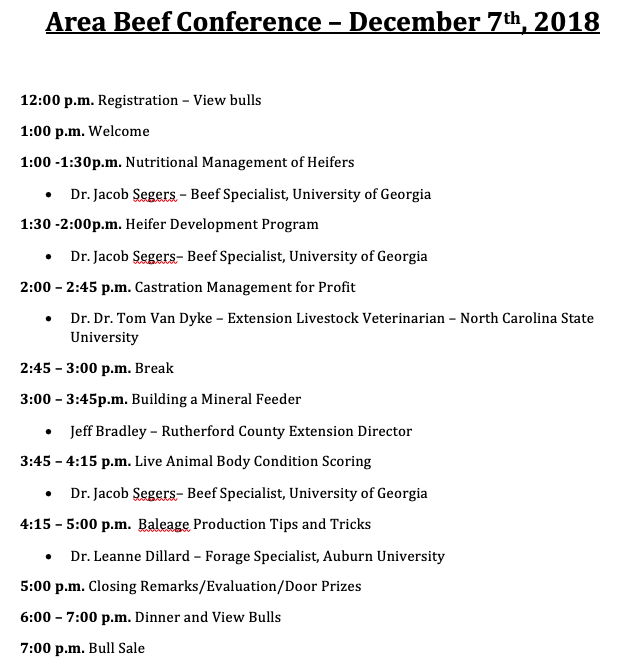 To pre-register for the area beef conference, email your name, telephone number, address, and number of attendees to ddharmon@ncsu.edu. 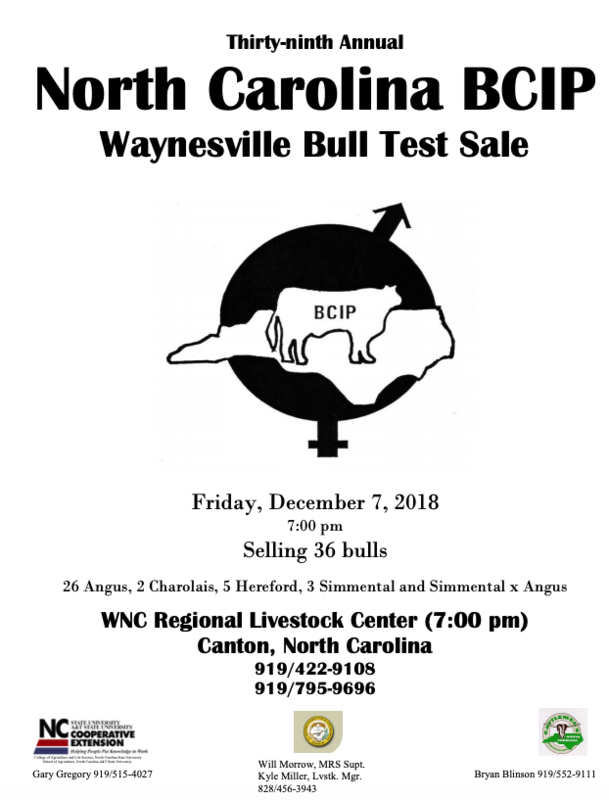 The 2019 NC BCIP Waynesville Bull Test Sale will follow the WNC Area Beef Conference at 7:00 p.m. A meal will be provided before the sale. 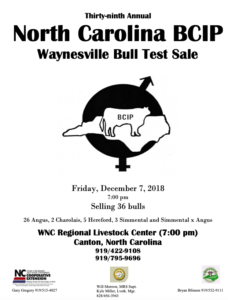 View the sale catalog.